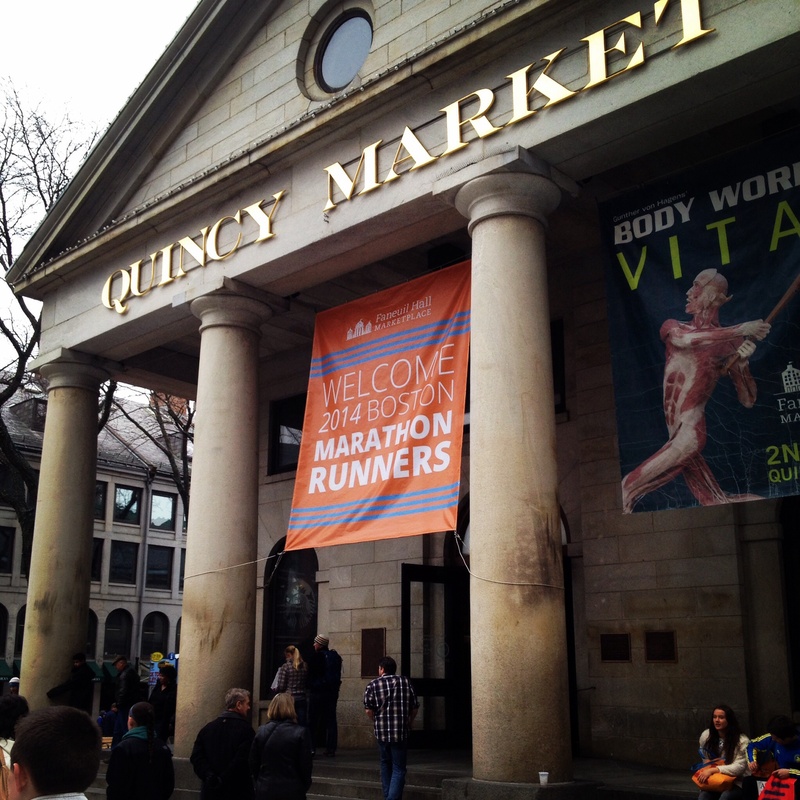 Boston opens arms to marathoners and spectators | Oh, the Places We See . . .
← Run, Jim Miller, Run! We felt the excitement even on the plane. Runners boarded our plane in Philly dressed in running pants, neon Nike’s, and windbreakers. They buzzed about where they were staying, which train to catch, and where to pick up numbers. So when we arrived, we weren’t surprised to see banners on street lamps and buildings welcoming all comers to Boston Marathon 2014 — it was just what we’d expected from the City of Brotherly Love. 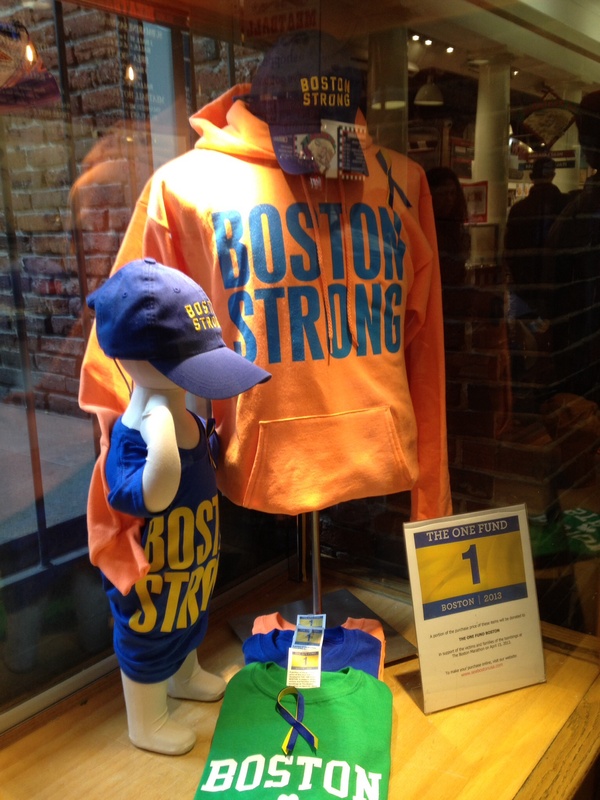 Boston Strong apparel and souvenirs — proceeds going to charity. Check back. 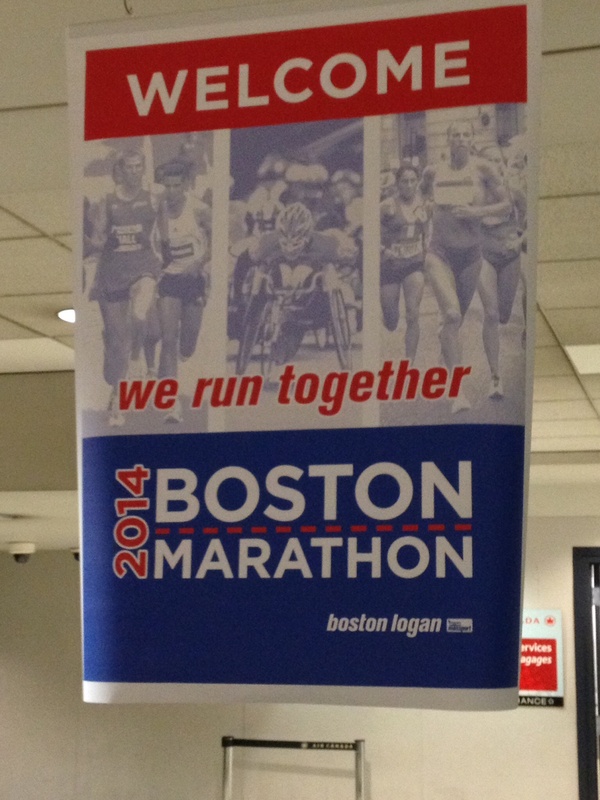 There’s more to come from Boston Athletic Association’s Boston Marathon 2014. This entry was posted in Destination, Massachusetts, Travel and tagged Boston, Boston Marathon, Massachusetts. Bookmark the permalink. Wow, you were there! Thank you for the special post! We’re still here and looking forward to the race! It’s an exciting place to be — thousands of runners and spectators, Boston volunteers who are sooo helpful, and events that run like clockwork. Somglad we could come this year. Hope to write more when i get home. Having much trouble blogging with iPad. Thanks for reading.